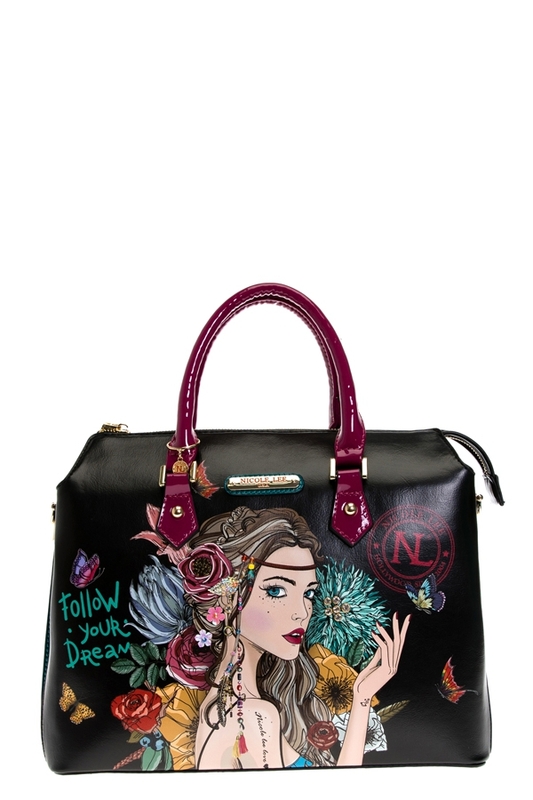 What could be cuter than the fun and stylish look of the Bohemian Print Satchel Bag. Exterior Features: Made of vegan leather. Exclusive NL “Angelina Follows Dream” print on front and back. Metal zipper closure with NL monogrammed zipper pull. Gold-tone hardware. Dual top handles. Zip wall pocket at back. Structured silhouette. Protective metal food base and NL nameplate at front.